The 2019 Summer Sensations Brochure is now available and registration is open!!! COTI offers small focused therapy based groups during the summer with emphasis on peer interaction and social skills while incorporating sensory strategies. Skills based groups such as pre-writing and handwriting groups are also available. Groups may be based on a theme such as pirates, outer space or a leisure activity such as dance, yoga, art or group games. Specific group offerings vary from year to year. Groups are led by licensed therapists with the support of therapy student volunteers keeping the child to adult ratio small. 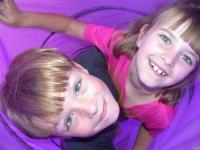 This group is intended for children who may benefit from support in developing play skills with each other. Asking a friend to play, responding when a friend says ‘no’, taking turns, learning to use appropriate strategies when winning (and losing) games, responding to others’ behaviors, and recognizing the non-verbal cues are just some of the skills which will be addressed in this group. A variety of activities will be presented to work on these skills including structured games and guided free play activities. Child: Adult ratio of 4:1. Cost: $385. A fun filled adventure on a pirate voyage designed to address social understanding, friendships, emotional expression, relaxation, social problem solving and responding to bullying. Activities include music, games, drama and movement. Child: Adult ratio of 3:1. Cost: $385. Is your child struggling to make friends or maintain friendships? This group is designed to give your child the opportunity to build confidence, develop age-appropriate social skills, and establish positive friendships. Your child will engage in activities that promote communication, collaboration, and provide effective ways to deal with frustration in order to develop the skills necessary to foster and maintain new friendships. All while learning new recipes and creating tasty treats. Child: Adult ratio 3:1. Cost: $405. To register your child, please call our office at 513-791-5688. A $100 deposit is required by May 3rd, 2019. Medical insurance typically does not pay for groups. Payment in full is expected by the first group session. If necessary, you will be contacted about attending a free 15 minute screening to ensure that the group is well suited to your child. If the group is not appropriate, space is not available, or the group is cancelled, your deposit will be refunded. We accespt Visa, Mastercard, and Discover. Registration received after May 4th will be charged a 10% late fee. *Some of our families have found success using external resources for funding of summer programs, check out some resources here.